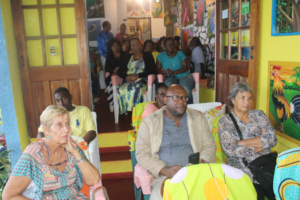 Two members of the Jamaican community came to an event to the Ahhh.. Ras Natango Gallery and Gardent o celebrate a birthday. 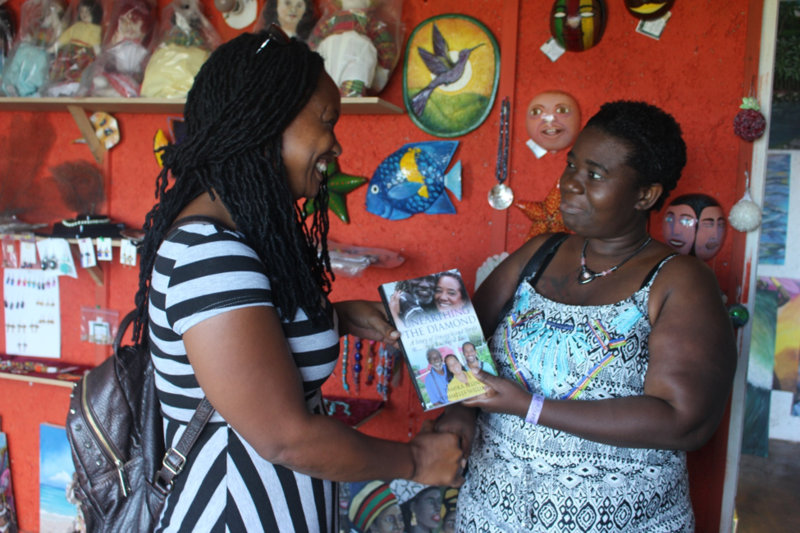 Peace leader Tamika Williams’s gift to her was a copy of her book. 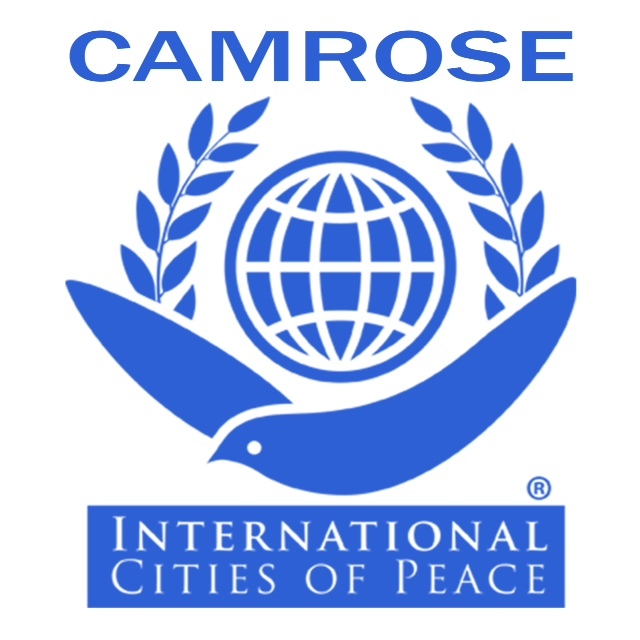 We welcome Tamika Williams and the people of Camrose, Jamaica as they in unity establish their community as a City of Peace. 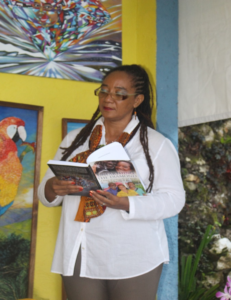 Tamika is an author and entrepreneur whose family owns the business Ahhh… Ras Natango Gallery and Garden. 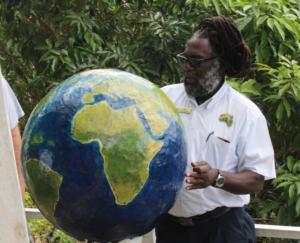 The Peace Symbol, a large Earth globe, that is at the center of the Gallery and Garden in Jamaica. 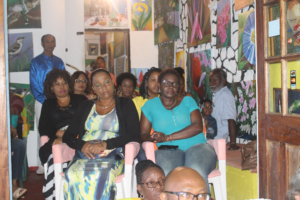 Attendees at a book reading by Tamika at the Ahhh…Ras Natango Gallery and Garden in Jamaica. 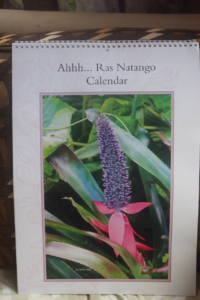 Ahhh…Ras Natango Gallery and Garden is located in the community of Camrose St James. It boasts a most spectacular view of the city of Montego Bay below. 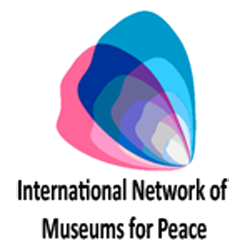 The business is owned by the Williams family – Ian, Tamika and their son Ayale. Approved by the Jamaican Tourist Board and TPDCO, it offers a magical experience. The garden boasts endemic flora and fauna, and is a birders paradise. 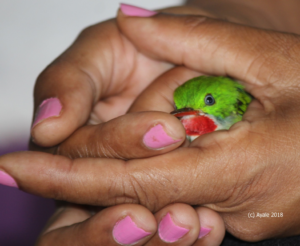 Jamaica’s national bird (the Dr. bird) is easily seen hovering or posing in the garden. The garden showcases some of Jamaica’s rich heritage. Ras Natango (Ian Williams) is the creator and resident artist. He is an international acclaimed artist whose work is in over 17 countries of the world. The Riu Hotels and Half Moon Golf and Country Club own and display many of his paintings. The gallery boasts fine art based on Jamaican life, culture, flora and fauna. In addition there is a small gift shop. 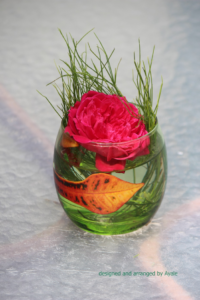 All items are made on the property providing additional employment for members of the community. 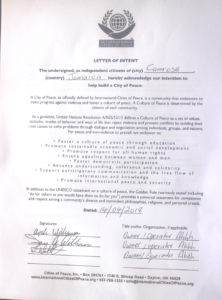 The mission is to instill peace within our homes, community city, country and ultimately the world. Mending broken pieces is my philosophy for life and giving second chances. You see I have been given so many chances in my lifetime I strive to have each person who has benefited in some tangible way from us to pay it forward, Taking time to be at one with self is often difficult in today’s social world so at Ahhh… we get our youth to begin by appreciating nature. Our natural resources, and gradually we improve and become kinder to the less fortunate. It is important to note, If each person is able to love, respect and accept themselves. We will have peace so there is lots to do in re programming our world family but it is within reach. 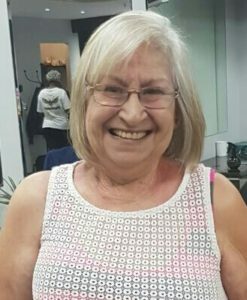 The picture above is of a repeat guest who has become my sister. When we realize that we are more alike than we differ ,it paves the path for peace. My sister Flossie in this picture has straight blond hair. I have curly black hair. What is similar? We both have hair. I do not ask about ones religion, race , or station in life in order to be a brother or sister. I love people who love people. I love people who take the time to promote our sameness and people who are tolerant of each other’s way of life while not compromising one’.s own. There are so many areas where love trumps the opposite. ( I try to avoid using the word.) When people have dreams, hopes and faith. When people see the dreams becoming reality through commitment and hard work, when people feel motivated to keep trying and look to the promise that tomorrow will be better. 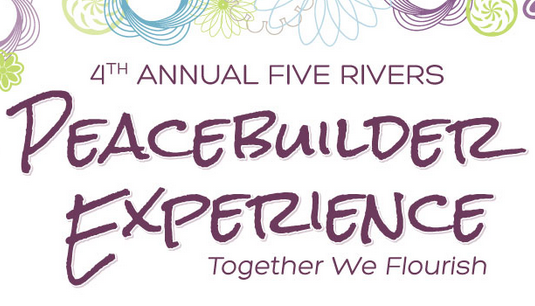 When people are able to build their self esteem and is a valuable contributor to others , there is peace. We will have peace when we can be tolerant of each other. Not judging but embracing. From sexuality , religion cultural ,customs and ways to empower each other to love. At the center of our garden is a papier-mache model of the earth. Every person who visits are encouraged to hug the world, giving back symbolically to the earth which gives us all we need to survive. My vision is to unearth the strength of each youth in my community and find a way to have them seeing the value in what they do. 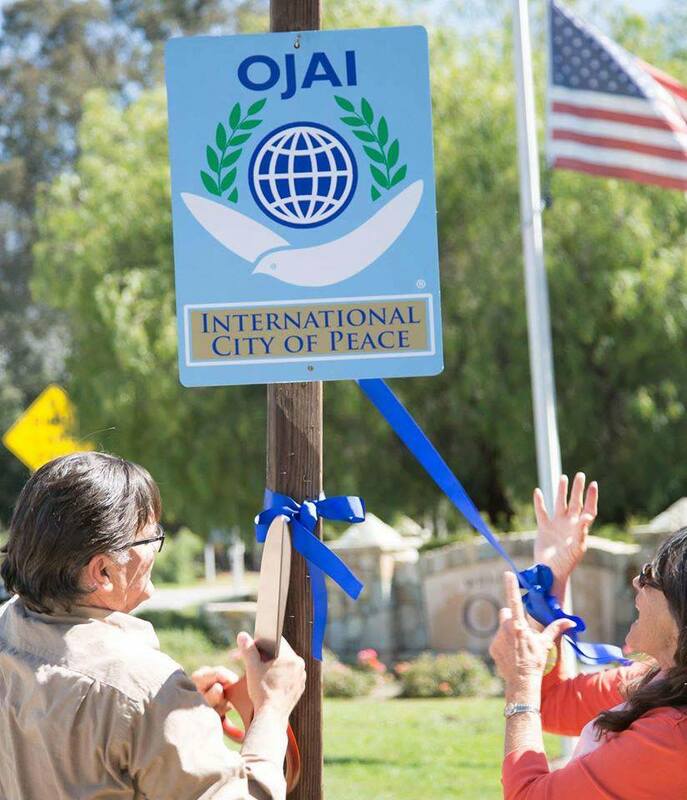 My vision is to see my community become even more peaceful than it already is. Much is needed and I look to the time when I will not be doing this alone. 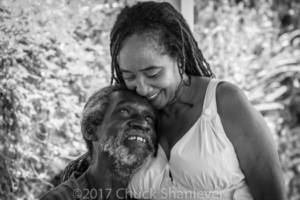 Ahhh…Ras Natango Gallery and Garden this place of peace within our community has the potential to be the model peace community across Jamaica. In addition to supplying jobs within our community we purchase carvings from the youths which encourages what they are naturally good at doing. It is my hope to get as many of them trained and prepared to move out into the city of Montego Bay or across Jamaica, passing on to those they encounter the benefits of peace. We have long term and short term goals. 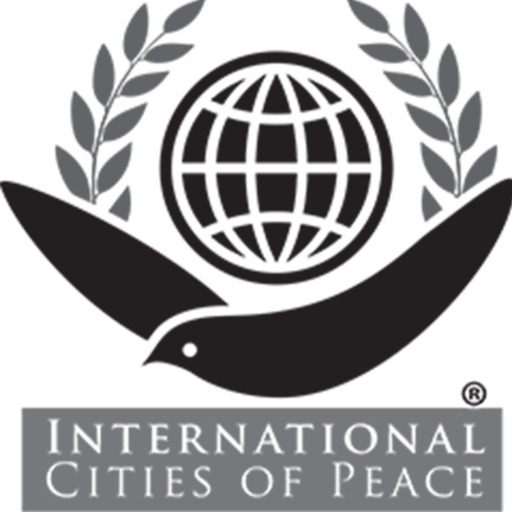 In order to achieve our objectives of peace and educating members of our communities funding is required. To this end we have come up with ways to raise same since it is a scarce resource. We are presently working on 2019 calendars with pictures of our place of peace with a view to selling to the diaspora to raise funds to continue doing what we do from feeding the birds, taking care of this green space, sending youth to school and going into homes and schools to educate. Long term goal is to see enough paying visitors to our garden making it possible to continue on this path of making things better. The image below is of the calendar I mentioned above. A giant Queen Achmea Bromeliad endemic to Jamaica as photographed in our cared here at Camrose. The sale of each calendar is as important a tool in the process to peace. The wonderful fauna of Jamaica is seen , enjoyed and embraced all over the world as the calendars are sold on line. Every community of Peace could publish each year a calendar unique to the region and as we support each other collect from the different areas a tangible way of encouraging our youth. The images can be as original and varied . here at Ahhh we choose images of nature because that is our passion. Even students drawings could be used. I am Tamika Williams. Wife and mother. 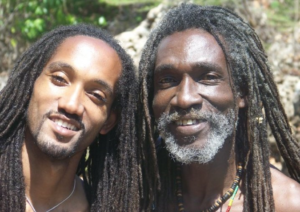 My husband Ian Williams aka Ras Natango and our son Ayale are my inspiration to get up, dress up, show up and work daily. 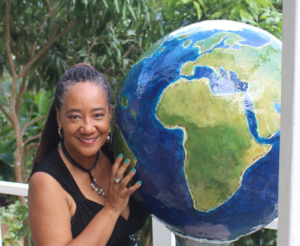 I am an educator who has taught for over 22 years, Retired since 2009 to run our family business Ahhh…Ras Natango Gallery and Garden. I am 57 years old and my passion is gardening. 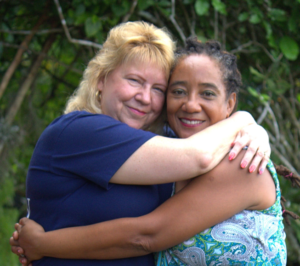 I am affectionately called mammy by members of the community. I love animals and my therapy IS gardening. My hand in the soil heals me. We created this garden for our selves but over the years it has taken on a life of its own becoming a refuge to so many. I run the family business and is often described as emotional, but that is s good thing. The world can surely use some more emotional people spreading love. I love to cook, do bead work in making jewelry and I love to entertain . In 2016 I self published my author biography. 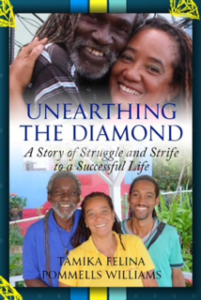 “Unearthing The Diamond, A story of struggle and strife to a successful life. RAs and I have been married since December 07, 1981. I am an avid environmentalist. 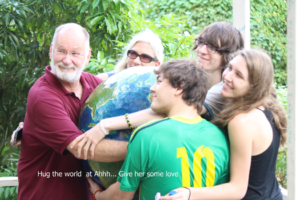 Protecting the environment is a way of life for my family and me. Ras and I have one offspring. Ayale Mikeal Williams who is 38 years of age. A section of the crowd at my book launch at Ahhh…Ras Natango Gallery and Garden Listening intently as I read from my book at the launch. Me reading from my book.. Ahhh has become the center of our community. WE are responsible for literally putting out community on Google maps. My husband Ras and our son Ayale. We are all a pary of the necessary change. It would be a pleasure to be have Ahhh..Ras natango Garden be included as a city of peace, We have been working along for over 10 years and have sacrificed a lot but our community IS one of the safest in Montego Bay as will be attested to by our local police. Nikki de Pina is an ardent advocat for social justice, committed to transformation through supporting platforms aimed at peace initiatives. She profiles those who are leaders serving their communities and who support and stand for non violence and an end to conflict. She is well recognised by leaders in Africa and abroad for her work. Camrose is a community near Granville, a small community on the outskirts of Montego Bay in the parish of Trelawny on the island of Jamaica founded by Rev. William Knibb. Granville is named after Granville Sharpe in 1845. Jamaica is an island country situated in the Caribbean Sea. Spanning 10,990 square kilometres (4,240 sq mi) in area, it is the third-largest island of the Greater Antilles and the fourth-largest island country in the Caribbean. Jamaica lies about 145 kilometres (90 mi) south of Cuba, and 191 kilometres (119 mi) west of Hispaniola (the island containing the countries of Haiti and the Dominican Republic). Previously inhabited by the indigenous Arawak and Taíno peoples, the island came under Spanish rule following the arrival of Christopher Columbus in 1494. Many of the indigenous people died of disease, and the Spanish transplanted African slaves to Jamaica as labourers. Named Santiago, the island remained a possession of Spain until 1655, when England (later Great Britain) conquered it and renamed it Jamaica. Under British colonial rule Jamaica became a leading sugar exporter, with its plantation economy highly dependent on slaves forcibly transported from Africa. The British fully emancipated all slaves in 1838, and many freedmen chose to have subsistence farms rather than to work on plantations. 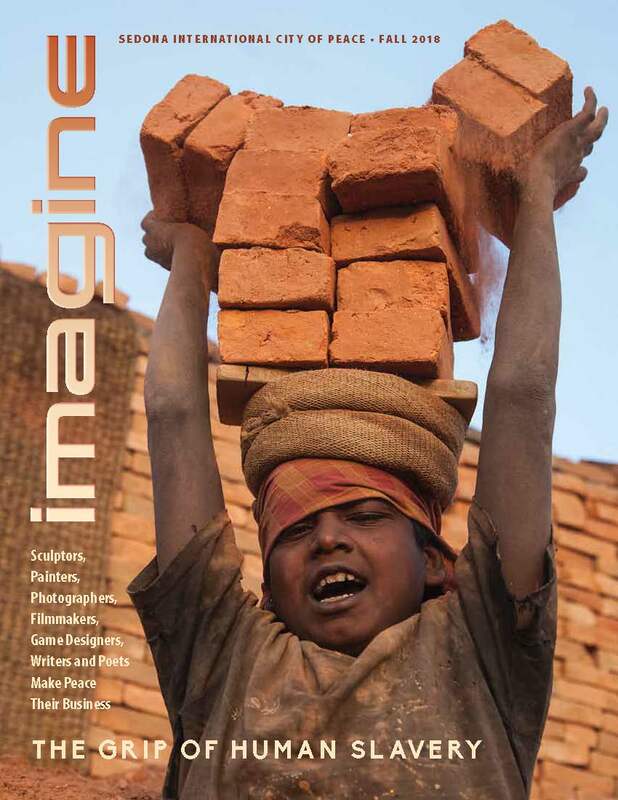 Beginning in the 1840s, the British utilized Chinese and Indian indentured labour to work on plantations. The island achieved independence from the United Kingdom on 6 August 1962.